Warm up your home this winter season with two warmers and four melt tarts! For beautiful flickering light and a tempting fragrance. From the official Yankee Candle range. 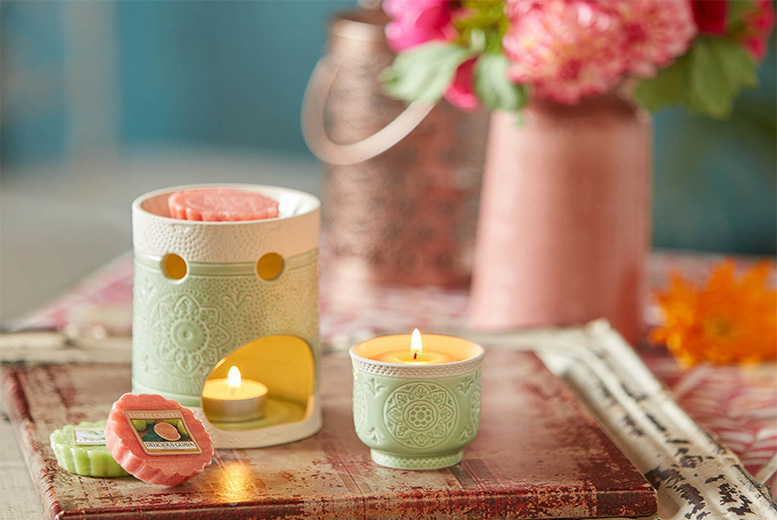 Simply pop in a tealight (not included). To release the fragrance of your desired melt. Melt tarts randomly allocated. Birthday? Anniversary? Wedding Gift? Treat them to a personalised tipple with these Alcohol Bottle Labels – 4 for £3.99!